There’s no doubt about it: a pool can make those blistering Texas summers a little more bearable. And what better way to maximize your pool space than by adding a pool deck? Not only can a pool deck provide easier access to your pool and add to the aesthetic value of your backyard or garden area, but it also provides a location for parties, get-togethers, or some simple rest and relaxation. It’s easy to see why so many pool owners take advantage of pool deck options, and here at Blooms Landcare, we want to make sure these options are readily available to you. A pool deck may be a great idea, but installing it yourself may not be. From coming up with all the design plans to purchasing all the materials, from painstakingly digging holes to pouring concrete footings: putting together a deck for your pool singlehandedly can take up way more of your time and budget than is desired (or needed). Thankfully, you can call on the experts at Blooms Landcare to assist you. Pool Decks are overlays with pavers as well and at Blooms Landcare we specialize in this process. Whether you have an above-ground pool or an in-ground pool, we can walk you through all the possibilities that are available to create an ideal deck for it. We’ll also let you know which options will allow for better accessibility, maintenance, practicality, and cost-effectiveness. We want to make sure you’re aware of all the necessary steps and costs so that the installation and upkeep of your pool deck can go swimmingly! Here at Blooms Landcare, quality is at the heart of everything we do. If you’d like more information about our pool deck services, call us at (817) 688-5352. 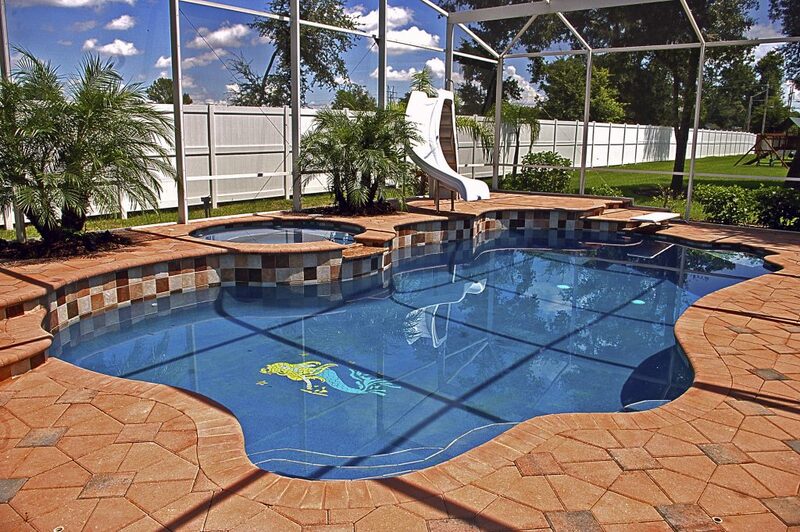 We would be happy to listen to your needs and help you create the ideal pool space you’ve always wanted.